Juvenile Rheumatoid Arthritis (JRA) is a form of chronic arthritis. 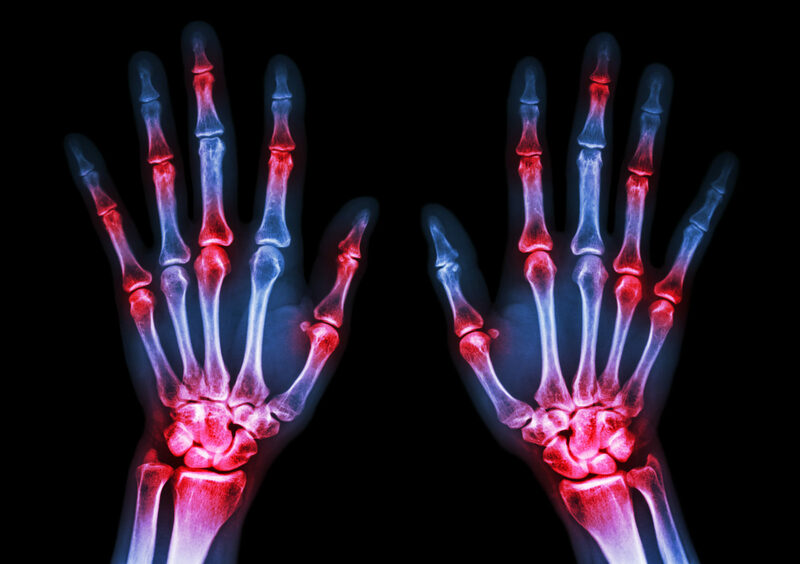 Surprisingly, Arthritis is one of the more prevalent chronic illnesses in children. Over 300,000 children in the United States suffer from this condition, with girls being affected more frequently by a factor of three to one. Parents should look out for some common signs of JRA listed below. When your child wakes up in the morning or from an afternoon nap, he or she will complain of pain focused around certain joints, like the knees, elbows, and jaw. Keep track of these complaints, and look for recurrence without any obvious causes, like falling outside while playing. Along with joint pain comes stiffness. Your child might hold his or her arm in a fixed position complaining of soreness and tightness when bending the elbow or shoulder. Much younger children might have trouble performing simple tasks they have recently learned, like holding a spoon or cup. Watch for limping in which your child is avoiding use of an ankle or knee while walking. Take note of any swelling around joints. This normally happens symmetrically, meaning swelling will occur in both knees, not just one. The swollen areas may appear red and warm to touch, or your child might complain of these areas feeling hot. A light rash can appear across knuckles, the bridge of the nose, cheeks, arms, legs, and torso. Be sure to rule out eczema and other allergic reactions. These rheumatic rashes can last a day or a few weeks. They will come and go without warning and don’t necessarily ooze or itch. A fever that comes and goes with no discernible cause is another potential warning sign. These fevers might only last a short time and recur at about the same time each day accompanied by fatigue and general malaise. Stay aware of any illnesses spreading around your child’s daycare or school so they can be ruled out. Pay attention if your child complains of eye issues like blurred vision and pain, and look for persistent redness. The same JRA condition that causes swollen joints can attack your child’s eyes and lead to eventual blindness if not treated. Even if it’s a common condition like conjunctivitis (pink eye), contact your child’s physician right away. Loss of appetite and weight-loss accompanied by fatigue are potential indicators of JRA or other juvenile arthritic conditions. Keep in mind weight fluctuates as your child grows, so don’t let a minor drop scare you. Children with JRA can experience slowed overall growth depending on the joints affected by the illness. In some cases, one arm or leg can experience slow growth while it’s accelerated in the other. If you notice any of these warning signs, do not feel alarmed. However, you should bring your child to the pediatrician when anything seems out of the ordinary. It’s always best to err on the side of caution when it comes to a child’s health and wellness.